Scam job tricks and fake interview invitations seem to rear their ugly heads in Ghana and Africa as a whole. This is attributable to the high unemployment situation and job seekers out of frustration trying their luck on any job related offer without paying heed to job scammers. I am sure if you are not yet a victim of a scam job, you know or have heard of some one fall prey to such mischievous schemes. Apart from possibility taking monies from unsuspecting job seekers, the end up wasting time as well. Cheeky Scammers ain’t? They say time is money but this greedy scammers make you lose both at the same time! Most annoying situations is when people use scarce transport fares to attend to scam job interview invitations only to realise they are being introduced to some shady commission based market business. 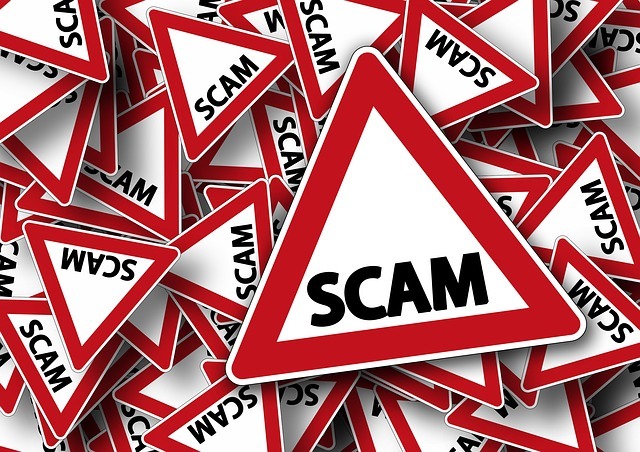 These scammers are becoming more sophisticated with time thus it is important to spot some of their modus operandi to foil any of their attempts to swindle you. So far as unemployment doesn’t seem to improve they will keep introducing new techniques or ‘format’ as some people like to call it. Some general scam job tricks that should give you a hint of fake recruitment and interview invitations are discussed below. It is worth mentioning that no credible company will invite you for recruitment by text message. Apart from the fact that it is unprofessional most companies preferred mode of communication to job seekers is via email and call from landlines or company numbers. if you have not subscribed to any job alerts with any telecommunications service provider, it is advisable to ignore such messages outright. If you are subscribed make sure messages are coming directly from your subscribed source. Mot is very rare for reputable companies to deal with jobseekers via mobile numbers. For your own safety unless you are ready to do your online checks on the company, avoid such job invites via mobile at all cost. Even though land lines may be potentially genuine, jobseekers are advised to do proper checks on company websites if they have one or company LinkedIn profitles. The names of companies used by scammer are in most cases an adapted versions of popular companies. Make sure you cross check company names on company directories on ghanaYello,businessGhana websites amongs others. Note that no credible company will hide behind the scenes to hire people. Also unless you have indicated you are open for jobs on notable job boards in Ghana, you are better of ignoring non familiar offers. You may want to flag them as spam at least to save you from further stress from unemployment. If it is a recruitment company, follow up to make sure they are licensed to operate. Another way to spot scammers is that they send offers via bulk email. No company does that. Recruitment is normally done on case by case basis so offers are sent to individuals other than bulk email with all invited persons copied in email. Also bear in mind some hide behind genuine company names by using it as senders name but which you click on the name it shows a different email. So there is a need to be mindful of that too. Normally companies will rather call you after sending you an email to confirm receipt of their invitation or offer to you. However it is always the other way round for these fraudsters or scammers who rather call you normally from mobile numbers an appear to be overly professional and a bit hesitant to answer questions on who they are and where their company is located. You can help others by blacklisting such callers on Truecaller to help people spot those scammers. Hardly will recruiters or employers get interviews fixed on weekends. Sometimes out of recycling emails they forget days change every other year such that a week day this year might be a weekend next year. Spotting this error should give you the strongest conviction the person you are dealing with is not genuine. It is surprising how some people fall for this trick. Scammers request for mobile money transfers as administrative charges before you can be interviewed! As dumb as it may sound people out of desperation get scammed out of trying their luck on any job offer. They intentionally set the admin fees small to make it ‘worth risking’ since they make a fortune after all if many job seekers fall for it. Most job boards these days provide average salaries of most jobs. Thus job seekers are advised to use them as a guide to spot offers too good to be true. For your own safety, jobseekers should avoid random flyers posters of immediate job vacancies but rather use popular job boards in Ghana for their job search. Frustration should not make jobseekers fall victims of such scammers so BEWARE FAKE JOBS. Report to the police if you can to rid Ghana and Africa as a whole of job scams.